For over 150 years the Kalleske family has been living and working on their Greenock farm. Throughout this time each generation has been vigilant in looking after the property for the next generation by not only preserving but enhancing the natural environment. 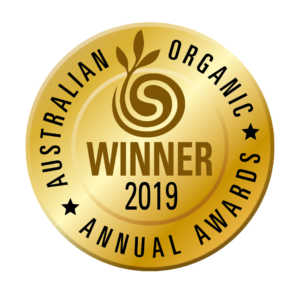 Organic and Biodynamic practices in the vineyard and winery ensure the soil, air and surrounding waterways are not polluted with synthetic chemicals and fertilisers. Organic and biodynamic farming is not only good for the environment but it ensures the grapes produced are more wholesome with vitality and integrity that reflect their origins of our Kalleske vineyard. Farming the vineyard organically and biodynamically is the truly natural way of farming ensuring ultimate sustainability, authenticity and quality. In 1998 the Kalleske property was certified Organic and Biodynamic. 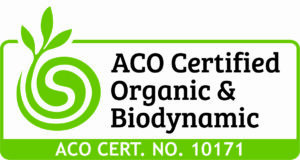 What is Organics & Biodynamics? Organic viticulture requires the complete cessation of synthetic chemicals and artificial fertilisers in the vineyard – this is the basic legal definition of organics. However, at Kalleske we are pro-actively organic whereby we not only don’t use chemicals but we actively promote a healthy soil and healthy vines in a truly sustainable system. Biodynamics is an organic holistic method of farming based on the work of Austrian philosopher Rudolf Steiner. ‘Biodynamic’ or ‘biologically dynamic’ is a farming system where the health of the soil is of utmost importance, principally high in biological activity, rich in humus and well structured. In addition to good organic practices such as composting, biodynamic farming relies on special plant, animal and mineral preparations and the rhythmic influences of the sun, moon, planets and stars. By definition, organic winemaking is practically the same as conventional winemaking. The main difference is that with organic wine you are only permitted to add a maximum of 125ppm sulphur dioxide compared to 250ppm. You are also not permitted to use any synthetic additives such as PVPP. At Kalleske we continue the natural organic and biodynamic theme from the vineyard into the winery. Our practices include relying on natural yeasts to undertake the primary fermentation and natural malolactic bacteria to perform the malolactic fermentation. We do not use added tannins or fining agents and the wines are naturally clarified through gravity (racking) without filtration. We also follow the phases of the moon and where possible time operations such as harvest and racking when they are most favourable. The biodynamic philosophy sees the farm in a holistic sense whereby it should be as self-sufficient as possible. Thus, solar electricity is installed which generates enough electricity to run the entire winery. Excess electricity is then used by other buildings on the farm or fed back into the grid, ensuing a little less coal is burnt. The solar installation was a major project and we acknowledge the assistance of AusIndustry through the ‘Retooling for Climate Change’ project. The winery is also self sufficient with water. 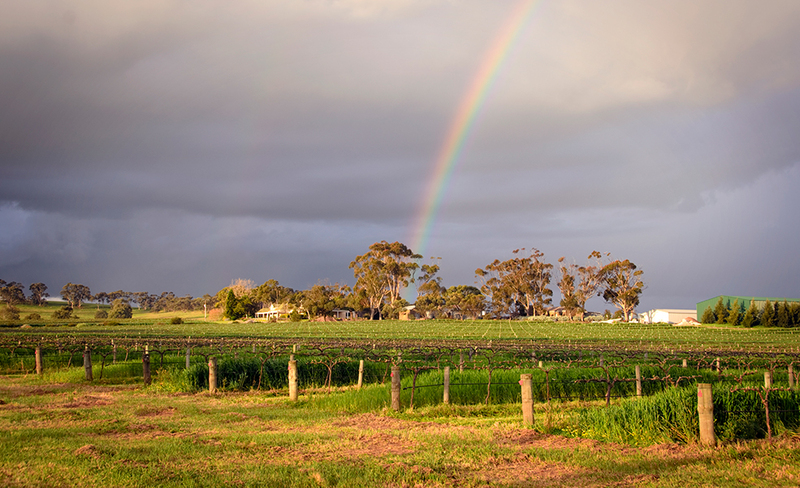 A 250,000 litre rainwater tank captures valuable water from the winery and farm sheds. Capturing our own water means more of this precious resource can stay where it’s needed In the River Murray. 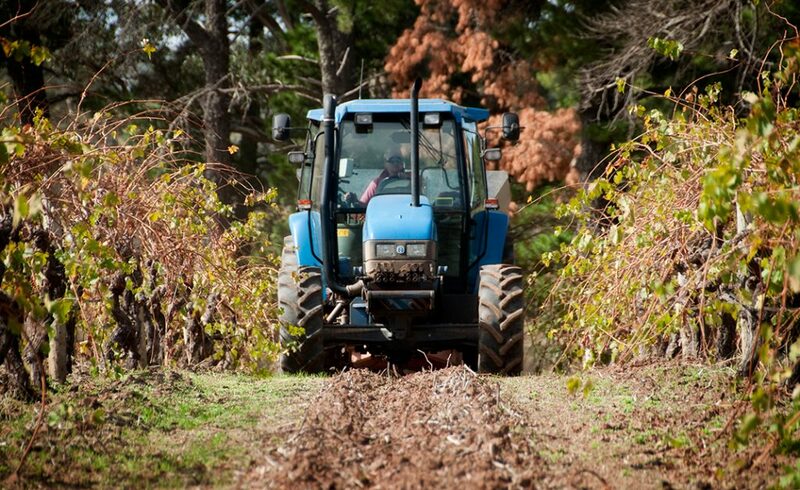 How is our vineyard farmed organically & biodynamically? Controlling weeds mechanically (instead of with herbicides). Vines gain their nutrition naturally (and not with chemical fertilisers): ‘Green-manure’ covercrops are grown mid row and ploughed into the soil to build up organic matter and provide nutrients for the vines and soil micro-flora. Composts and natural fertilisers (e.g. kelp, rock dust) are applied to the soil. Biodynamic preparations are applied to the soil and the vines. Vines are protected from insects and diseases through their naturally stronger immune system or via natural sprays such as worm tea (instead of via insecticides or fungicides). A healthy soil with high organic matter and high micro flora is able to better capture natural rainfall and vines with strong healthy roots are better able to utilise this natural moisture. Bird pest problems (e.g. starlings) are mitigated by planting adequate native vegetation which they prefer and this also encourages predatory birds (e.g. hawks). What is the benefit of Organic & Biodynamic farming? Environmental – no chemical runoff into waterways or groundwater and more biodiversity – spiders, fungi, bacteria, ladybirds, etc. Less pollution – more carbon is retained in the soil instead of being lost to the atmosphere. Healthier soil – more porous, more nutrient availability, more microbes. 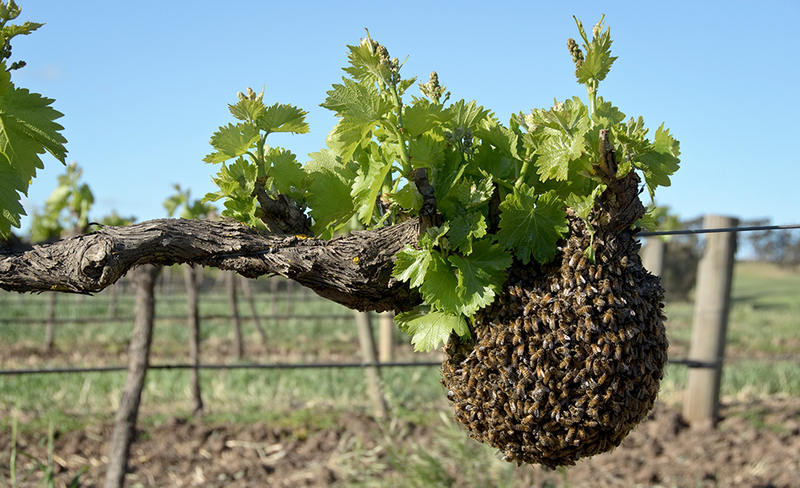 Healthy environment for vineyard workers. Healthier wines to drink – no residual chemicals. Better wines – more naturally balanced, of inherent quality and reflective of their origin. At Kalleske our vineyard and winery is 100% certified organic and biodynamic by Australian Certified Organic (ACO). 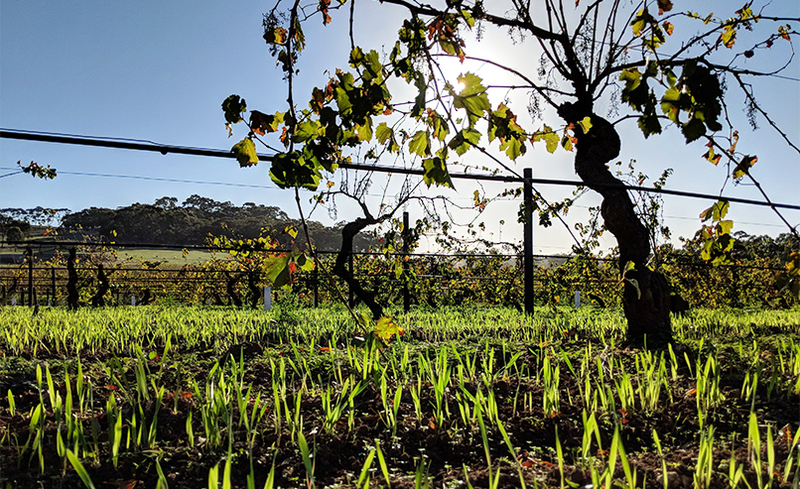 The Kalleske vineyard has been certified since 1998 and is the oldest certified organic/biodynamic vineyard and winery in the Barossa. 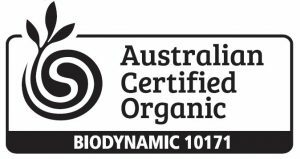 Being certified is valuable to the consumer as it’s their guarantee that they’re getting a genuine organic product. The organic certification process requires good record keeping, annual and random audits and inspections of the vineyard and winery. We are ultra energy efficient at Kalleske. In fact with a 15kW solar installation, we are a net exporter of electricity across all winery and farm operations. Our efficiency is a result of using evaporative cooling, product heat exchange and double skin insulation. 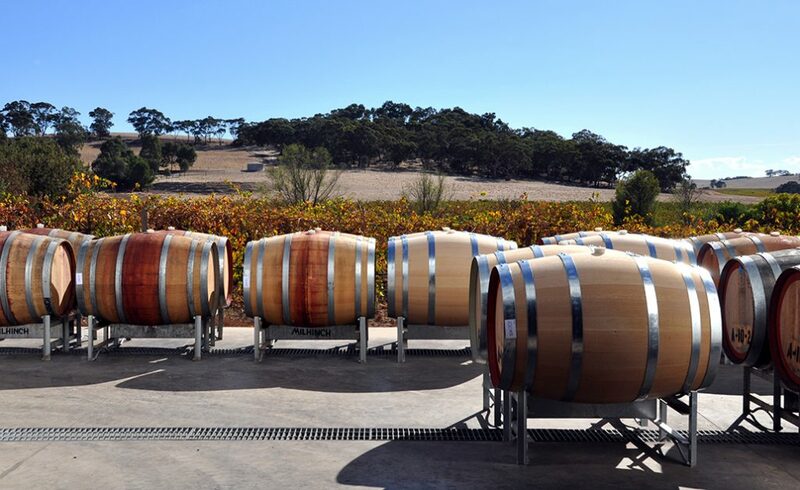 Benchmark for electricity use in an Australian winery of size 500-1500t crush ranges from 0.75 to 2.0 kWh/L of wine made [GWRDC: Winery Energy Management Project]. Using the low figure of this range, an Australian winery crushing 500t (what we crush at Kalleske) of red grapes (doing everything on-site except for bottling) will use 230,000 kWh of electricity annually. At $0.35/kWh this equates to $80,000. At Kalleske our electricity bill is $0. A 15kW solar system produces ~ 25,000 kWh of power per year, ~$9,000 saving, enough to be energy self-sufficient. Refrigeration is typically the largest consumer of electricity in wineries, accounting for 50-70% of total electricity usage. At Kalleske our cooling bill is $0 because we use evaporative cooling instead of refrigerated cooling. Fact: “Warmer brine temperatures generally lead to more efficient chiller operation”; i.e. it is best (most energy efficient) to have the brine (cooling fluid) as warm as possible to do the cooling job required. Many wineries run unnecessarily cold brine. So, for red ferments that would typically need cooling from 30-35C down to 20-25C, there is no need to have brine at 5, 0, -5 or -10C. Brine or water at 15C will easily do the job. Hence using evaporative cooling via the cooling tower, the water is typically around 12-15C, simply by using the “free” power of evaporation. Often, the cooling fan is not even turned on as the natural breeze passing through the water as it falls is adequate. We also use product heat exchange. Whereby, we may have some fermenters just crushed and after night harvest may only be 10C, whereas others at peak of fermentation will be at 30C, so water will pass through the jacket of the ‘hot’ fermenter, picking up heat which it exchanges at the ‘cold’ fermenter (warming the must) which cools the water again to then go back to the ‘hot’ fermenter. Regarding barrel storage and bulk wine tank storage… We have Iron + Insulation + Air Cavity + Iron (double skin insulated). This is adequate to maintain cool cellar temperature and no additional cooling required. Benchmark for water use in an Australian winery without a bottling line is: 1.9L/L of wine made [GWRDC: Case Study Discharge to Sewer]. This means for a 500t crush, the typical non-bottling winery will use 665,000L of water per year. At Kalleske we typically use 350,000L of water per annum or 1L/L of wine made or only 53% of benchmark figure. And typically this water is entirely sourced on site, with off-site mains water only used in drought situations. We have a 250,000L rain water tank capturing water from 6 sheds of combined roof area of 2000 m2. How Kalleske Winery uses such little water? Use pressure (pressure cleaners) instead of volume. Dry clean (broom and shovel) wherever possible. When emptying must lines, we empty into slotted bin to capture berries/solids, hence less washdown/cleanup. Tanks are assessed and only cleaned as required, i.e. not unnecessarily spray-balled and we use a single-step detergent.